Looking for a birthday gift to our special someone can be quite frustrating. Ugh! And we have to consider our budget as well. Of course, we don't want to give just for the sake giving. Our goal is to make sure that they really love what they got and use them every day. My husband celebrated another year of his life last Wednesday. He's not one given to material things. In fact, most of the stuff he owns are gifts from me. Yeah, he's that type. 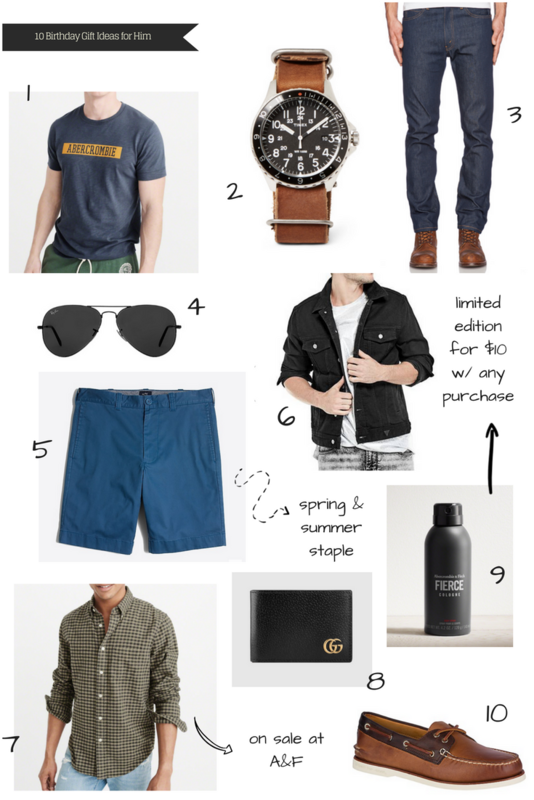 If you're like me, who constantly looks for ideas until that one special pearl is found, then you might want to check out the 10 birthday gift ideas for him I've curated below.